Mob screwing over mob will get your throats slit in a back alley..
Hannibal Lecter told me so. 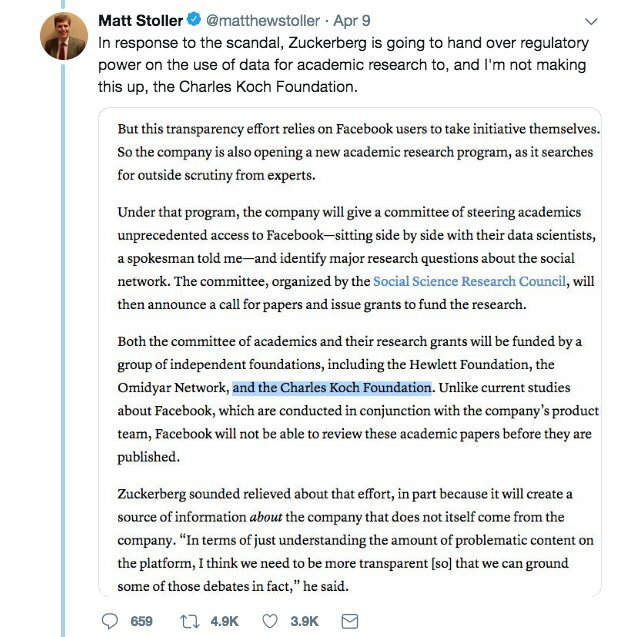 Hewlett, Knight, Koch foundations, with other funders, will support independent research on Facebook’s role in elections and democracy. Let’s talk about organized crime. Because it's not just Jared & Junior we’re up against here. The mob developed in Sicily & Naples in the mid-1800s because the actual government was too weak to perform basic oversight duties. In the absence of regulations of any kind, folks turned to organized bands of thieves to settle disputes, offer protection, and mete out justice. So right off the bat, the conservative notion of "government being the problem" is both idiotic and historically wrong. We NEED governance. It can either be done by elected officials or by hoodlums. But it's a necessity. MOB GROWS WHERE GOVERNMENT ISN’T. The quaint Italian mob depicted in GoodFellas, The Sopranos, and the Godfather films is NOT the mob of today. These outfits were absorbed by the Russian “Vor” in the 1990s, after the breakup of the Soviet Union. (I say “Russian,” but this is shorthand for former Soviet bloc). The head of the Russian mob today is Semion Mogilevich, aka The Brainy Don. He is Ukrainian by birth, Jewish enough to have acquired an Israeli passport, and currently a Russian national, living in Moscow. He is the capo di tutti capi of the Vor. He is THE bad guy. Don Corleone is to Semion Mogilevich as Roy Raymond is to Leslie Wexner, or as McDonald the hamburger stand guy is to Ray Croc. Mogilevich took the mob big time. The Russian mob is more like SPECTRE than like GoodFellas. Yesterday, I shared a thread^ about organized crime—our real enemy. Trump, I said, is merely a cog in the Big Russian Mob Machine. I did not mention the NRA, and how that organization was allegedly (ha ha) exploited to funnel dirty rubles to various GOP politicians and lobbyists. I did not mention the various Evangelical churches & their leaders, some of whom have remained staunch Trumpists despite 45 behaving like the actual Antichrist. 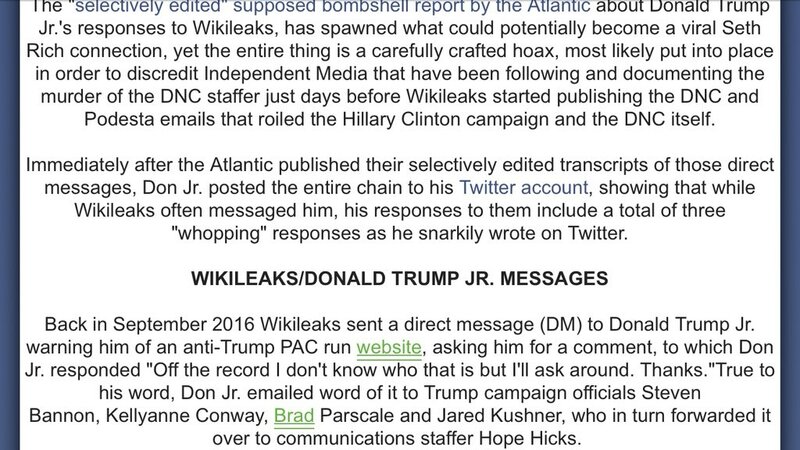 Except for that intro tweet, I did not mention Kushner at all. Not Jared or the felonious old man. And I have so much to say about #BoyPlunder. I did not mention 9/11. Didn’t talk about how the FBI switched focus after the attacks from Russian organized crime to Islamic terrorism. I did not mention Facebook and other social media companies that took f*#k-tons of investment capital from Russian sources, and then allowed themselves to be weaponized against our democracy. 6/ I did not talk about Fox News, the Daily Caller, or InfoWars. Didn’t openly wonder why Sean Hannity required the services of a mob bagman, for example, or why he repeatedly offered to let a Russian asset host his radio show. Lets start by putting this in the correct context. "Above all, we should acknowledge that the collapse of the Soviet Union was a major geopolitical disaster of the century. As for the Russian nation, it became a genuine drama. Tens of millions of our co-citizens and compatriots found themselves outside Russian territory. Moreover, the epidemic of disintegration infected Russia itself. Let's also not forget the "kick-starting" (though some may say kicking Russia when it was down) started way before the current admin. When Russia told the OSCE that their election monitoring mission would be severely limited last month, it seemed as though Putin had fired an authoritarian shot out of the blue, baring his inner Stalinist once and for all. The West reacted as if the OSCE was the crucifix of democracy, and Putin’s rejection of that crucifix was evil rejecting good. Well, that’s one way of looking at it. 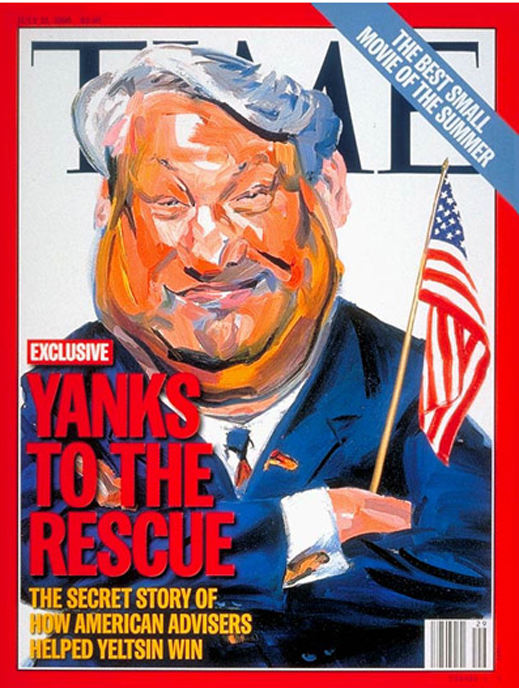 Another way is that the recent Russia-OSCE door-slamming episode is the inevitable outcome of years of cynical Western manipulation of an organization that once held enormous promise and impeccable credentials, but is now with good reason considered a propaganda tool for the West. The Council for National Policy, a highly secretive group, is a key venue where mainstream conservatives and extremists mix. For 35 years, a shadowy and intensely secretive group has operated behind the scenes, providing a venue three times a year for powerful American politicians and others on the right to meet privately to build the conservative movement. The Council for National Policy (CNP) is, in the words of The New York Times, “a little-known club of a few hundred of the most powerful conservatives in the country,” an organization so tight-lipped that it tells its people not to admit membership or even name the group. It is important enough that last fall, according to an account in The National Review, Donald Trump and five other Republican presidential candidates each took 30 minutes to address the group; the conservative journal reported that Trump was by far the favorite candidate. The names of many members and officers of the group have leaked over the years, and some of its officers are reported on the organization’s tax forms. But the last time long lists of its members was made public was in 1998. For the most part since then, members of the CNP — which can be joined only by invitation, at a cost of thousands of dollars — have managed to keep their identities secret. That is about to end. The Southern Poverty Law Center (SPLC) recently obtained a copy of the CNP’s 2014 Membership Directory, a 191-page compendium that lists 413 members, 118 members who have died, and 14 past presidents. The list is surprising, not so much for the conservatives who dominate it — activists of the religious right and the so-called “culture wars,” along with a smattering of wealthy financiers, Congressional operatives, right-wing consultants and Tea Party enthusiasts — but for the many real extremists who are included. Paul S. Teller, the hardline chief of staff to Ted Cruz who was once described by The Hill as Cruz’s “agitator in chief,” is a member, or at least he was in 2014. Tony Perkins, the head of the LGBT-bashing Family Research Council, was its vice president that year, one of three executive officers. And Frank Gaffney, whose group provided Trump with bogus statistics about American Muslims’ support for violent jihad and who was a senior adviser to Cruz until May, was a member, too. But it has long been known that the group included some key individuals whose goals are less benevolent. One of its five founders, Tim LaHaye, is the co-author of the Left Behind series of apocalyptic Christian novels and a man who has described gay people as “vile,” said the Illuminati are conspiring to establish a “new world order,” attacked Catholicism, and once worked for the wildly conspiracist John Birch Society. An important member whose name was revealed early on was John Rousas Rushdoony, who is listed in the 2014 directory’s “In Memoriam” section and advocated for a society ruled by Old Testament law requiring, among other things, the stoning of adulteresses, idolaters and “incorrigible” children. And you seriously think the Russians have a chance against that lot? Nor does that include non-U.S. western oligarchs/ruling class arrayed against them. The OP seems fascinated with the current US president and posts wild threads with unsupported claims. Lack of understanding of the US appears to be part of the problem. I'm much more familiar with the business situation in New York than the OP is. Given that a special counsel is very likely to be appointed to investigate the unethical and in some cases illegal deep state attack on the current president once Mueller finishes his investigation, we will see. 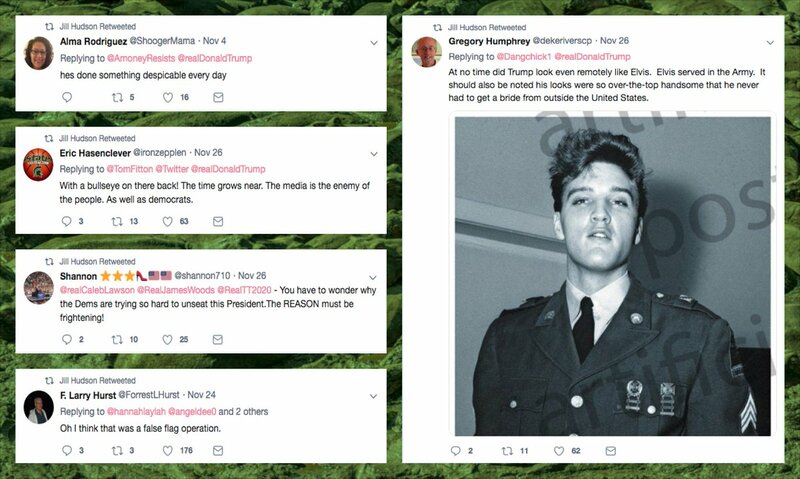 Whilst perusing recent "false flag"/#FalseFlag tweets for signs of automation, we came across a curious group of retweet bots. These accounts are not primarily focused on false flag content, and do not commit to a single political perspective. Let's dig in. The accounts in question fit the following pattern: handle consists of a first/last name combination followed by two digits, all tweets are posted with an app with a similar name to the account, and they tweet all hours of the day but with frequent 2-4 hour gaps. I am not engaging people preaching scripted talking points from the Kremlin.